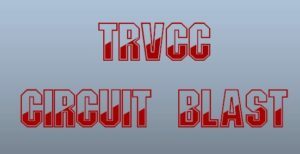 TRVCC is happy to announce Saturday Sweat is back! This is a 30-45 minute workout with any one of our instructors. Come shake it up and keep your fitness on track during the weekend. Who: All fitness levels are welcome! Begin to connect body alignment, key actions and breath into a simple, gentle flow. This is a great all levels class to slow down and deepen your practice with the support of verbal explanation and physical assists. Align and Flow Yoga is a class structured around rejuvenating and healing the body. Yoga props such as blankets, blocks, bolsters, and straps are often used for safe practice, and to allow the body to fully achieve each position comfortably. This class is held at a slower pace and focuses on stretching all areas of the body, while releasing stress and tension from joints and muscles. Those with medical conditions, please check with your physician if you have any concerns about attending yoga. 8:00 am Wednesday Mornings.This class will be located in the FOD room and will be taught by the wonderful ladies of the Kula Space. Cost: Members – FREE, Non-Members $3.00 per class. Energize with a combination of postures inspired by ballet and other disciplines like yoga and Pilates. Balance or the wall is used as a prop to balance while doing exercises that focus on isometric strength training (holding your body still while you contract a specific set of muscles) combined with high reps of small range-of-motion movements. Cardiovascular movements are often infused with this work-out. Childcare is available for this class! Cost is $2/child. Join Jay, our resident Chess expert for a game or lessons on how to master the game of Chess!